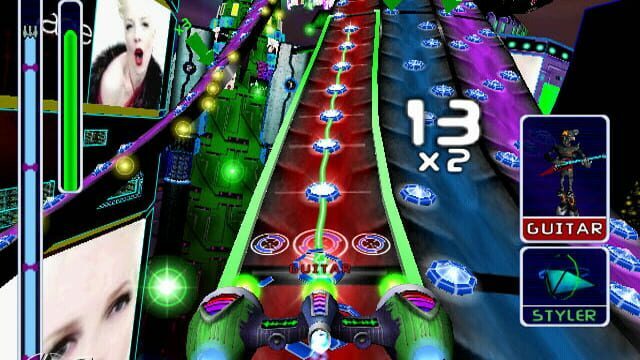 Amplitude is a music/rhythm game and is the sequel to 2001's Frequency. Like it's predecessor, players play songs by hitting notes on multiple tracks representing each instrument found in the song. 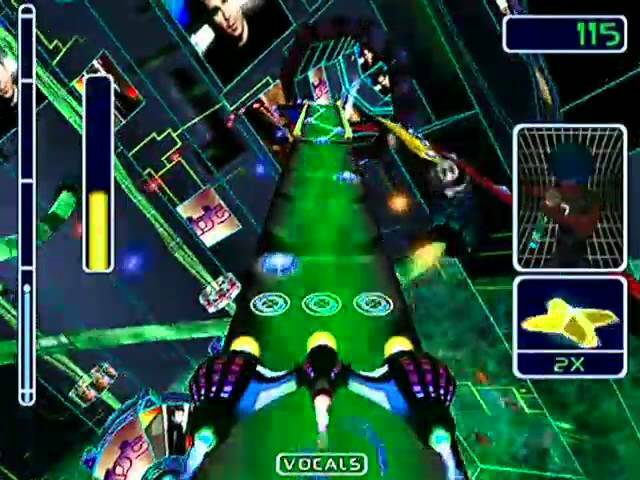 In Amplitude, the player controls a ship (referred to as a "Beat Blaster") moving down a path of varying shapes and lengths, containing up to six tracks. Each color-coded track corresponds to a different aspect of the song, such as percussion, synth, bass, or vocals, and contains a sequence of notes. 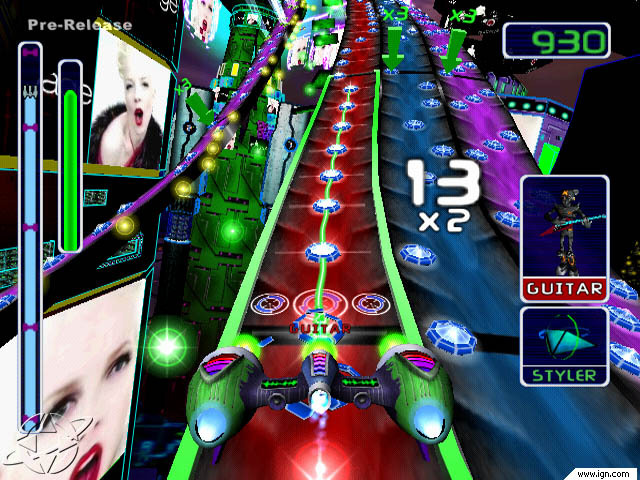 As the player hits buttons corresponding to the note placement on the track, the notes activate a small portion of the track. 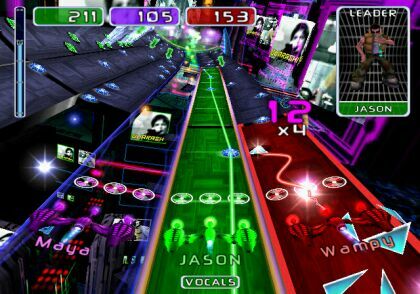 If the player successfully activates enough notes in sequence, the track is "captured" and the section will play automatically for a number of bars, freeing the player to capture another section. The object of the game is to capture a sufficient amount of sections to reach the end of the song. 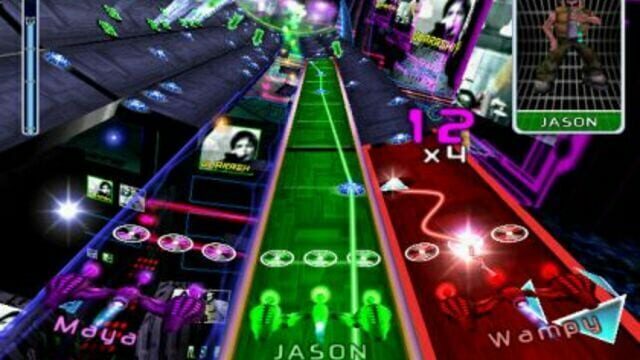 If the player continually misses notes, an energy meter empties until the game is over.